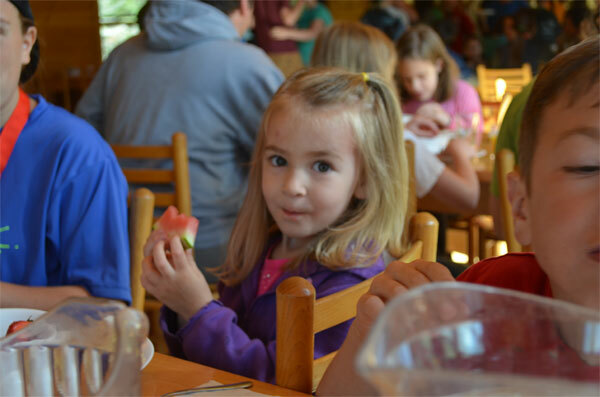 Meal service is available in Lodge du Nord for families who register in advance. The dining hall is located between du Nord and Northland Villages. Meal plans begin with Sunday brunch and end with Saturday breakfast. Dining space is limited, and reservations for meal service are accepted on a first-come, first-served basis. We are able to accommodate most dietary needs with advance notice. Families may also choose to bring their own food to camp. For all meal plans there is no charge for children 3 years old and under. Refunds are not available within three weeks of your session.